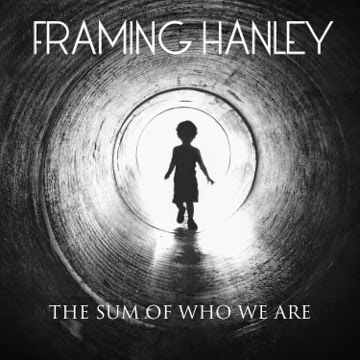 In all honesty, Framing Hanley’s The Sum of Who We Are should have been the band’s follow-up to their massive debut The Moment. By no means is that an indictment of A Promise to Burn, their 2010 sophomore album, but The Sum of Who We Are sounds like a logical progression from the tormented aggressiveness of The Moment. This is by far the most well-rounded the band has ever come across, as The Sum of Who We Are combines the melodious with the discordant, taking the guitar-driven destructive best of The Moment (“Criminal,” “Collide,” “No Saving Me”) with sleek ballads coated in a glossy sheen (“Unbreakable,” “Science,” “Streetlights and Silhouettes”). Frontman Nixon’s vocal interplay with Lindsey Stamey on “Rollercoaster” is picture perfect, and while it might hard for longtime fans of the band to swallow, The Sum of Who We Are might just be the best Nixon has ever sounded vocally. “Simple Life” is not only a highlight on The Sum of Who We Are, it’s also a highlight of the bands entire discography; a bouncy call-and-response number with subtle synth underpinnings. While the band may have dropped out of the public eye over the last half decade, The Sum of Who We Are should be more than enough to serve as a proper reintroduction, reminding everyone along the way just what Framing Hanley is sonically capable of.